The Mumbai Traffic Police is all set to auction 350 abandoned vehicles. These vehicles were seized over a span of five months, that is between October 2018 and February 2019. The auction will take place on the state-owned e-commerce company, Metal Scrap Trade Limited (MSTC). The Mumbai Police seized almost 1,500 abandoned vehicles, said Amitesh Kumar, joint commissioner of traffic police. 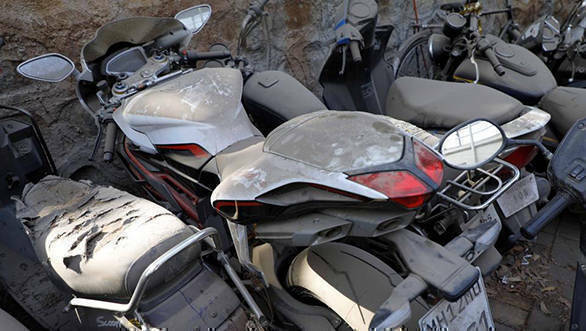 This impounding of vehicles was followed by the Bombay High Court's order, in July 2018, to remove all vehicles parked in the no-parking zone for over 10 hours. Around 140 out of the 1,500 vehicles are at least 10 years old. When an abandoned vehicle is spotted, the traffic police contacts the regional transport department and sends a notice to the owner. If the owner fails to come forward, the police then contact the concerned police station and send a second notice. If the owner fails to respond to the second notice, then the vehicle is impounded. The traffic police then approach the court to either scrap or auction the vehicle. This is a six-eight month long process and the police have to park and maintain the vehicle.